This is an optional MIP C-CVD Kit. 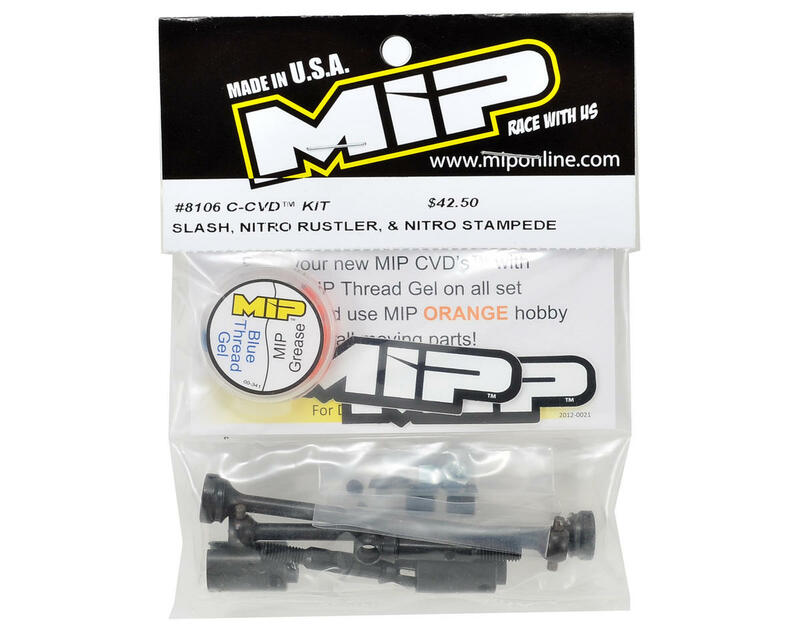 MIP’s multiple World Championships and National Championship winning design CVD can now be part of an important upgrade to your Traxxas Slash, Nitro Stampede and Nitro Rustler. 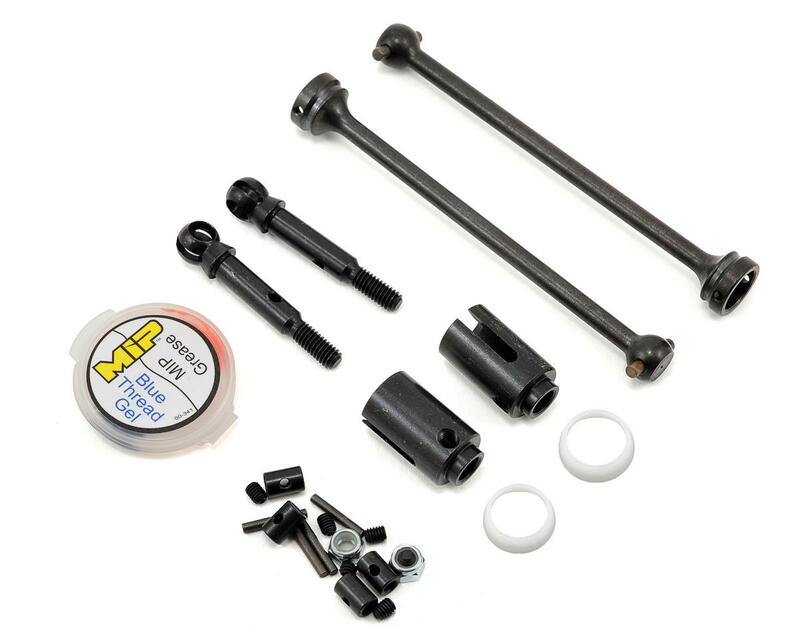 The new C-CVD™ style design eliminates the original set-screw over drive pin design and instead utilizes a unique screw-on outer C-Ring that captures the drive pin in place. The CVD bones are larger diameter (more material) than standard MIP CVD bones, for even more durability. This kit also includes a pair of beefy steel diff outdrives as well.